The University of Minnesota Medical School prepares students with the knowledge and skills they need to excel, whether in private practice or academic medicine. The Medical School's Duluth campus also leads in educating doctors committed to family medicine and to serving the health care needs of rural and Native American communities. Thanks to scholarship support, the U enables talented students from diverse backgrounds to pursue education and training that will prepare them to become tomorrow’s medical and health care leaders. Medical School students graduate with a median debt of about $200,000—making scholarships more important than ever before. Thanks to generous donors, the Medical School awarded scholarships from 674 funds totaling more than $3.3 million to 406 U medical students in the 2016–17 academic year. The return on investment is clear: nearly 70 percent of the U’s Medical School graduates choose to stay and practice in Minnesota—boosting the state’s medical workforce and its economy. Find out how history informs the University of Minnesota Medical School’s revamped approach to teaching future doctors. Read more. Going back to grade school inspired fourth-year Medical School student Taurean Baynard’s career choice. Read more. 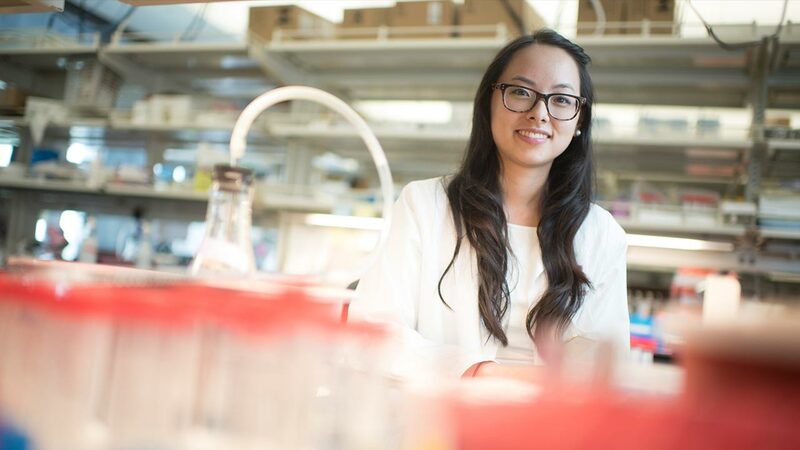 Eight years after a cord blood transplant to treat her Fanconi anemia, Angela Bedoya is back at the U, this time as a student and scientist. Read more.